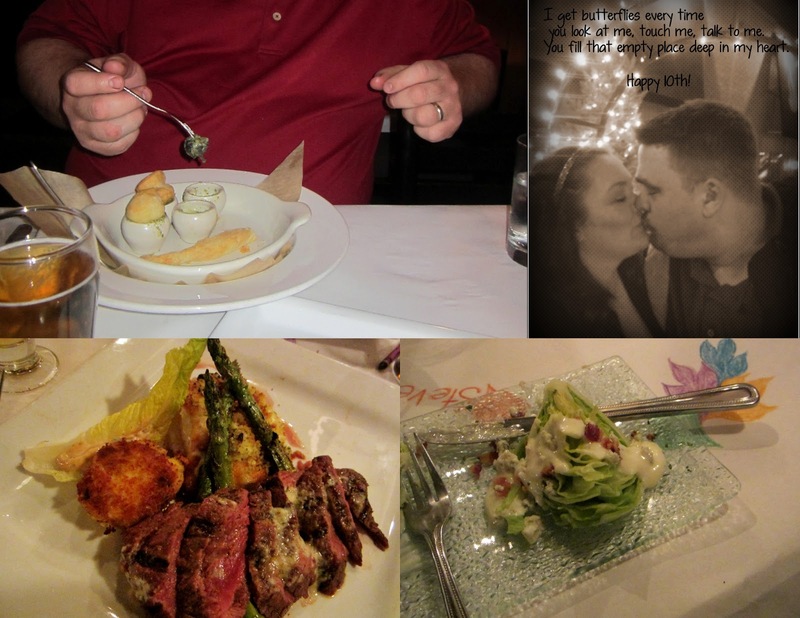 My husband and I recently celebrated our 10th wedding anniversary. We were desperately in need of some R&R and decided to check out Weathervane Inn in Montague, MI. We needed a room with a full kitchen so we could enjoy our own cooking and not have to leave the hotel. We also wanted a room with a gorgeous view and location that was close enough to find other things to do. The Weathervane Inn provided us with everything we were looking for. We booked and could hardly wait for the day to arrive for our little 4 day vacation away from home, work, and kids. The plan was to not have a plan, to just be laid back and relax. 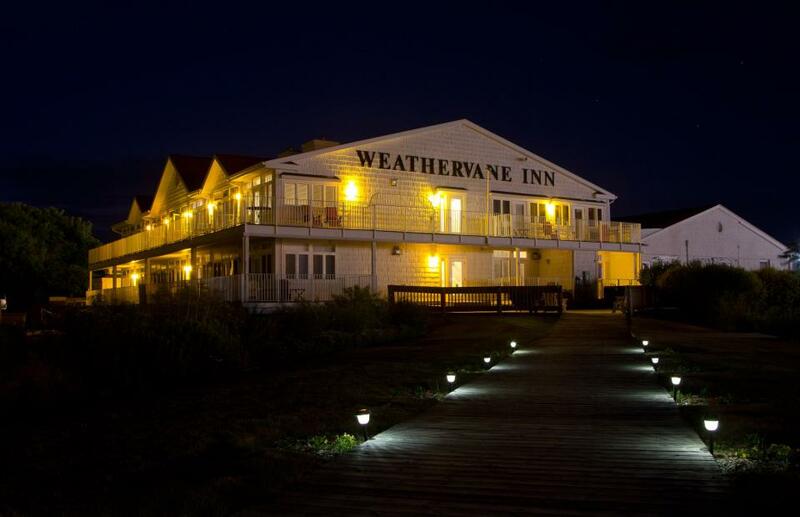 The Weathervane Inn is a luxury waterfront hotel. It has 23 rooms that include Jacuzzi tubs, fireplaces, balconies and complimentary breakfast. I was told by the front desk that our room was the only full kitchen room with a lake view. 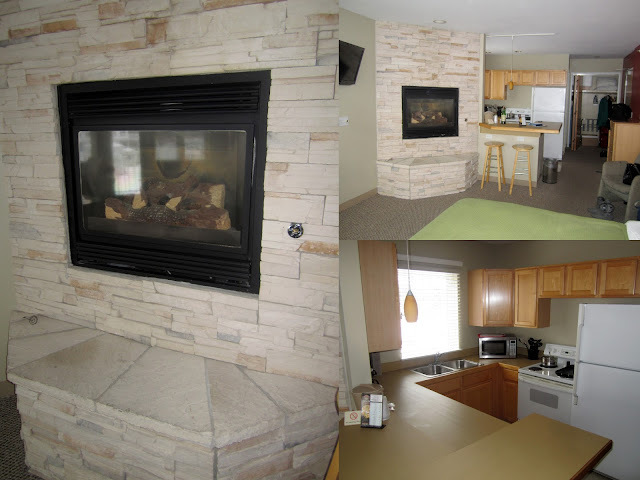 They recently updated all of their linens, installed 32" LCD HDTVs, and completely repainted the whole interior. They are close to many golf courses, including White Lake Golf Club, Stonegate Golf Club and Old Channel Trail. If you wish to take a walk outside you can enjoy their Gazebo and deck chairs. Weathervane Inn is also located right next to the paved 22 mile Hart-Montague bike trail. 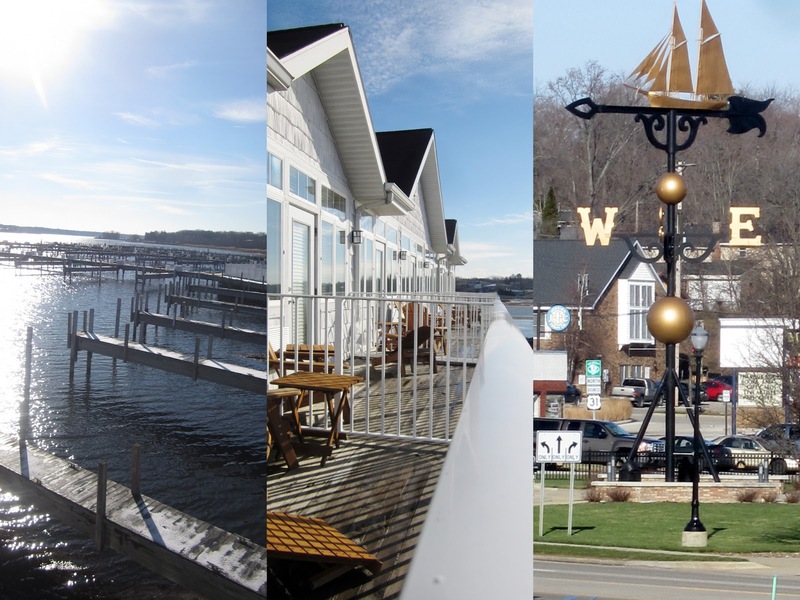 There is much to do in the White Lake area, especially in the warmer months. First thing I noticed when we walked into our room was the beautiful decor and the simple furniture. The room smelled so fresh which must have something to do with all the fresh lake air that blows over the building. The updates that were finished quite recently has everything looking fresh and new. 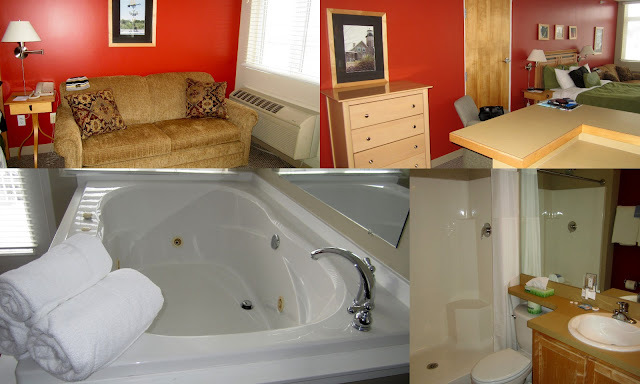 The whirlpool tub in the room was very large, definitely big enough for two people to relax in together. The view from our window was spectacular and I noticed the deck just outside of our door. Even though it was a cold day out the room felt cozy and warm thanks to a heater by the door and a fireplace that is off to the front right of the bed. Once we lit the fireplace, the room warmed up quickly. I made some coffee and we kicked back for a while to chat. After our relaxing chat, we decided to unpack and make it feel like home. There was plenty of storage space for everything we had brought and then some. The kitchen is quite large with plenty of room for two wannabe chefs! The range was electric but the oven heated up ten times faster than my gas oven at home. I did not mind that there was not a dishwasher, but I would have liked a couple of dish cloths or dish towels. They had a scrubbing sponge but it was old and mildewy. It also would have been nice to have a cookie sheet and there was only one wine glass. We really needed hot pads when I baked something but there were none. That made it kind of difficult when it was time to grab something out of the hot oven. I think I ended up using a bathroom towel. We brought our own knives but we did notice that the kitchen could have used a nice Santoku knife or chef's knife. Lastly, bring some napkins if you like to use them because there were none. There is a small coffee machine in the kitchen, nothing special but it did the trick. There was also a good toaster which was nice to have. The microwave was very clean and seemed newer. A full size refrigerator with top freezer stood next to the stove, and it was sparkling clean and very spacious. Overall the kitchen was really nice and next time we stay I will take the items it was missing along. The bathroom had a decent size counter. I was able to fit my makeup case and some hair tools on it just fine. Of course there was the nice elongated toilet which flushed quite nicely. Then there was the double shower and that surprised me. Two people can take a shower together at the same time, we loved that. The water pressure was excellent and there were complimentary toiletries available in the bathroom. I do wish that some type of air freshener could have been available. To me, air freshener is necessary if the bathroom is right off of the room. The whole room is perfectly set up for couples but the couch does fold out into a twin size bed just in case you need the space. The little love seat sure was comfy and I found myself snuggled up on it quite a few times while I read a good book. It smelled fresh and was in the perfect spot to gaze out of the beautiful windows covered in big wooden blinds. Our room also held a large chest of drawers. The dresser was able to fit all of our clothes and some belongings with room to spare, plus there was the huge closet next to the bathroom. I think we packed two big suitcases full and it all fit. We have stayed other places where there was never enough storage space and that was annoying. It was nice to see that they had thought of storage. The whirlpool tub was amazing! We used it a couple of times during our stay. It was very clean, I checked since I am a clean freak. The jets felt so nice against my tired muscles, I came out feeling relaxed and pampered. The towels provided for both tub and bathroom were huge. These were not the little napkin size that some hotels have, nooooo they were the great big kind that cover your whole body. The big towels were fluffy and soft and a bright white, they smelled really fresh. As we sat in the tub we could both look out of the window thanks to the mirror along the wall. The mirror gave us the optical illusion that there was another window. We didn't leave the room much since this was mostly a romantic type vacation for us. Because we did not leave very much it was really nice to have the large flat screen television in front of the bed. We watched a few movies and some cable TV while we relaxed in bed. The front desk had a good selection of movies but there is also a Family Video not too far from the Inn where we rented some DVD's. I popped a bag of popcorn and it was the perfect little romantic movie night for us. We had a lot of fun cooking our own meals in the kitchen. We both love to cook and so it was something that we could both enjoy together. There are also a couple of great grocery stores very nearby but we had brought a cooler full of groceries along. At night the front desk baked chocolate chip cookies. We would run down, grab a few and then pour ourselves a big glass of milk to share. It was romantic and the perfect end to each day. 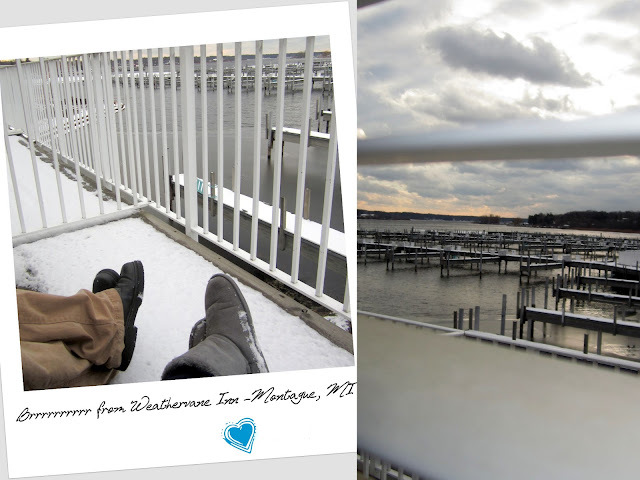 Even though it was freezing out I still spent some time on our balcony looking out at the water with my husband's arms wrapped around me. We were able to peek around the corner of the building to find the world's largest weathervane, it was fun to see. The sunshine felt lovely even if it was cold. As you can see from the photo above, each room near ours has their own balcony/deck access and beautiful views of the lake. One of our days was spent venturing out into nearby New Era, MI. We found a lovely country dairy farm store that had a deli inside and plenty of seating for a crowd. Country Dairy Inc is a great place to check out especially if you have family along. They give tours of their facility and when you buy something from the deli there is unlimited refills on milk, even the chocolate! We had a fun time looking over everything that they made and we took home some fresh butter, cheese curds and milk. The butter was some of the best I have ever had and that is saying a lot since I've had some good stuff. 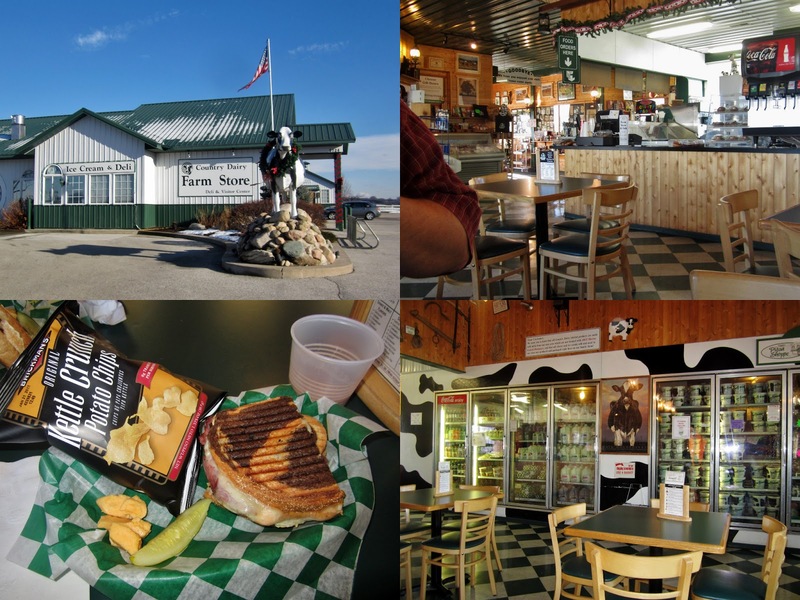 You ought to check out Country Dairy if you are in the area. Country Dairy is about 17 minutes away from the inn. For a romantic dinner away we traveled to The Hearthstone Bistro Bar and Grille in Muskegan. This is about 25 minutes away from Weathervane Inn but well worth the drive for sure! You will want to dress up a bit to dine here. 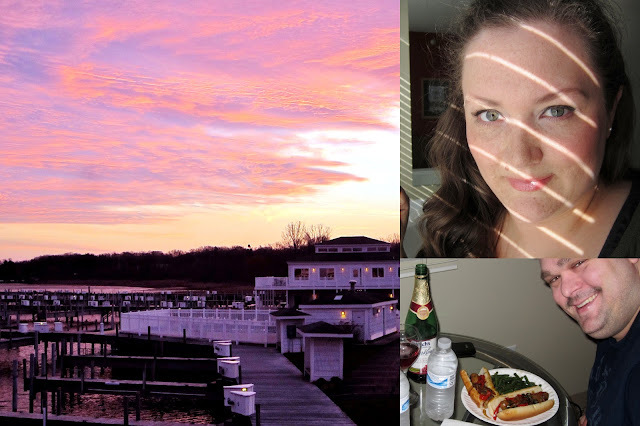 They are Muskegan's #1 rated restaurant, and their phenomenal food lived up to the hype. We made reservations for our dinner and I am so glad we did because the place was absolutely packed. The staff was so friendly and helpful, the food came out absolutely spot on perfect, and the atmosphere was so relaxed. I loved that we could use crayons to color on our paper table covering, it was so cute. My husband tried the escargot and then asked for a few more. He said they were very tender and the flavor was out of this world. Be prepared to spend about $100 for a party of two. The prices are high but so is the quality of food you are getting. All in all this was one of the most relaxing vacations we have ever had. I do wish that the bed had not been so squishy but that's maybe just a personal preference. We left Weathervane Inn feeling refreshed and rejuvenated, ready (but not wanting) to get back to normal life. I highly recommend staying here. Thank you to the amazing staff for taking care of us and making our experience a great one. Check out Weathervane Inn's website, Facebook page and Trip Advisor ratings. Disclaimer: All content provided on this blog is for informational purposes only. The owner of this blog makes no representations as to the accuracy or completeness of any information on this site or found by following any link on this site. The owner will not be liable for any errors or omissions in this information nor for the availability of this information. The owner will not be liable for any losses, injuries, or damages from the display or use of this information. I received one or more of the products mentioned above for free. Regardless, I only recommend products or services I use personally and believe will be good for my readers. This post was written using my Net Zero wireless broadband 4G internet!